Co-sponsors: Canadian Studies Program at University College, the International Relations Program at Trinity College, the Bill Graham Centre for Contemporary International History, the Centre for the Study of Korea at Asian Institute, Munk School and the International Relations Society. 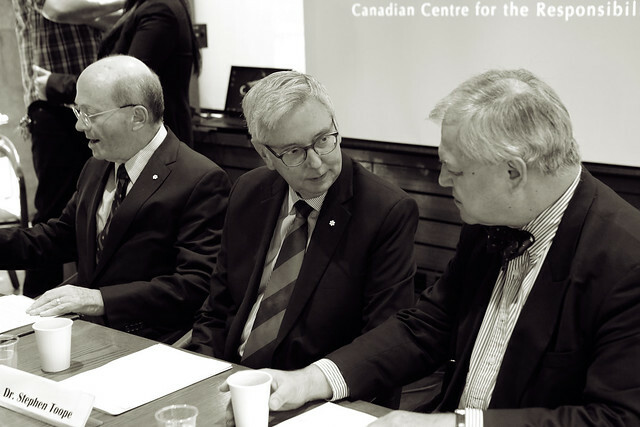 Professor Stephen J. Toope took over as Director of the Munk School of Global Affairs on January 1, 2015. Before joining the Munk School, Professor Toope was President of the University of British Columbia from 2006 to 2014. He represented Western Europe and North America on the UN Working Group on Enforced or Involuntary Disappearances from 2002-2007. He continues to conduct research on many aspects of international law and is currently working on issues of continuity and change in international law, and the origins of international obligation in international society. His most recent book, with Jutta Brunnée, is Legitimacy and Legality in International Law: An Interactional Account, which won the American Society of International Law’s 2011 Certificate of Merit for Creative Scholarship. Prior to joining UBC, Toope was President of the Pierre Elliott Trudeau Foundation, a position he held since 2002. The Foundation is an independent, private, and non-partisan organization created to promote outstanding research and interaction between researchers in the social sciences and humanities and the wider society. From 1994 to 1999, he served as the dean of McGill University’s Faculty of Law. Previously, he served as Law Clerk to the Rt. Hon. Chief Justice Dickson of the Supreme Court of Canada from 1986 to 1987.